Pondering the paths of how we exist, Deborah Martin explores the lingering legacy of the ancients – the imprint of footsteps throughout the ages and the contemplation of the past and present together as one. 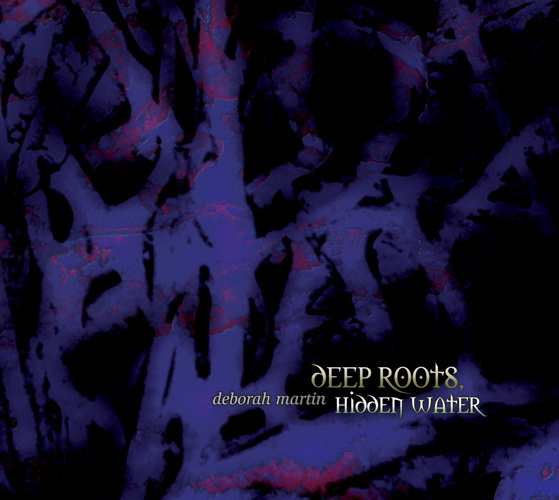 Deep Roots Hidden Water, Deborah Martin’s out of print second solo album, returns in a very special re-mastered edition – a fresh perspective on a classic timeless work. On this authentic 24 bit remaster, the sensitivity and grace of the original mixes shine through with a warmth and clarity not heard on the original release. Deborah, together with special guests Tony Levin (Peter Gabriel, King Crimson) and Coyote Oldman (award-winning Native American flute duo), creates an electronic soundworld filled with lyrical synth melodies, pulsing string trances and lush chordal movements, and on this painstaking restoration, the depth and serenity of the music is even more hauntingly beautiful and sublimely powerful than the original version. 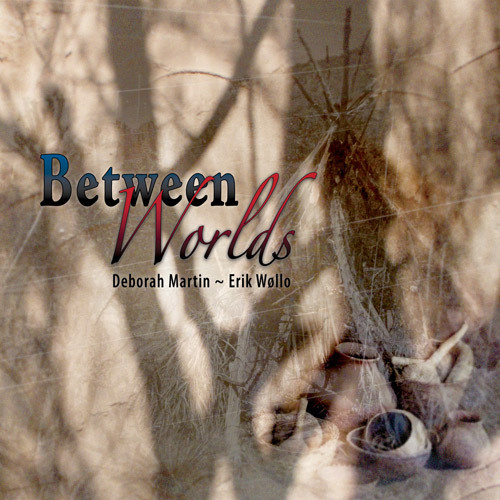 I had been seduced by the musical approach of Deborah Martin on the very beautiful Erik Wøllo album, Between Worlds released in 2009. Enough to investigating a little more her musical universe, which is describes on Internet as being New Age. It is thus with little apprehensive ears that I approached Deep Roots Hidden Water, an album that was out of print and which Spotted Peccary remastered in a beautiful special edition including a digipack booklet in 2010. The album includes 10 tracks that bring us into prohibited spiritual territories, on structures semi- ambient and strongly tinted of a mysticism orchestral approach at the same time lyric and tribal. 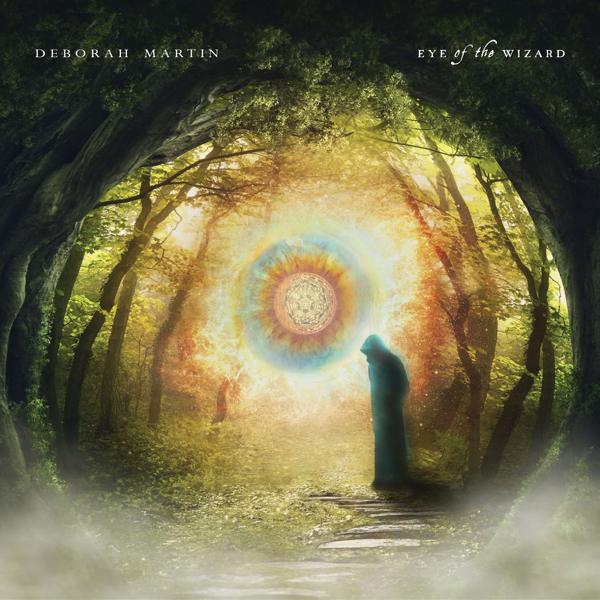 Well sited behind its synths, Deborah Martin has fun to modulate a pallet of sampling that sounds like a mini symphonic orchestra, a chamber orchestra. And it’s this way that Deep Roots Hidden Water opens. Haunted by Water and A Dark and Silent Place are molded on samplers of soft violins, oboes and cellos which creates soft atonal melodies built on intuitive dream. There are no rhythms, like everywhere on Deep Roots Hidden Water, but only a lyrical orchestral fusion that flows like a timeless poetry. The structure of the title track is identical, except for Tony Levin bass which shapes an indecisive soft rhythmic on an amalgam of poignant violin strings and noble oboes. Fine Tabla percussions open the mystic One Sun. A slow and bewitching track which evolves on a soft oniric structure, where angelic voices caress soft and warm astral winds on synths with celestial trumpets fragrances. The more we go deeper into Deep Roots Hidden Water to more we are entering a further complex musical world. Crossing Plateau is a track without rhythms, apart the bass pulsations which shape a soft tempered surge provides by a synth with incantative murmurs and orchestral veils besieged by sound elements as heteroclite as fascinating. Blue Lake brings us at spiritual doors of First Nations people with soft tribal flutes which amalgamate their songs on a synth with slow dark surges which form hemmed loops in an ethereal fog. Chords of a solitary guitar roll in loop and throw a little light on this dark track, but very revealing of indigenous spirituality. One could describe The Strength of Stones like a strange ghostly western with his acoustic guitar and its synth with raucous breaths which modulate sonorities like an out of tune violin. Evolving in an ambiance both weird and mysterious, The Strength of Stones is the ballade of a black knight getting out of a dark and still unknown world. Voices of the Rim fills our ears deeply with this fusion of flutes, Indians and traditional, which blow soft atonal melodies on a slow curtained of an ancestral fog. The Brilliance of Stars is very poetic with its synth to slow movements of serenity which cross a discrete flute with light breaths. Across Sky is the only track where we can hear a form of movement behind a dense curtain of orchestral layers which shape a soft symphony for solitary dreamers. A solid and intense title, Across Sky finishes where Deep Roots Hidden Water had begin. More insight can be gleaned when you read Martin's exclusive AmbiEntrance Interview, of course. A slow, cyclic shimmer is accented by bass, bells and the ‘garden weasel ‘ in crossing plateau, which makes a slow-motion trek through a wonderously ephemeral atmosphere. Spotted Peccary's Howard Givens and Jon Jenkins toss their effects and loops into the aqueous depths of Martin's blue lake which ripples with electronic waves and Mark Hunton's and Greg Klamt's flutey breezes. I think this might be a first... Seven (!) bass parts (including Levin's electric upright bass) provide the heaviness necessary for the strength of stones. Deep and surging with resonant feedback, the piece is surprisingly light given its elemental weight. 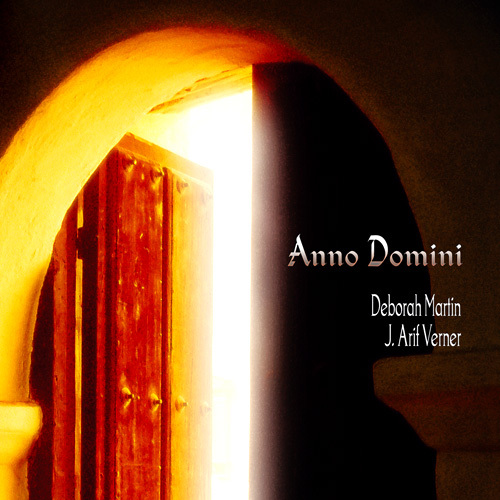 Jaded or impatient listeners may feel Deep Roots, Hidden Water is too new-agey, but Deborah Martin's lovely arrangements transcend any narrow classification, and will especially appeal to those wanting a breath of sweet serenity. An 8.3 for consumate artistry. Re-released by the Spotted Peccary label, Deborah Martin’s 1999 album Deep Roots, Hidden Water is a moving work in a symphonic New Age style touched with Native American overtones. Exhibiting both grace and grandeur, this disc moves from moments of sweeping-vista musical dramatics to stretches of quiet contemplation. Aided by musicians such as Tony Levin, the duo Coyote Oldman, Jon Jenkins and others, Martin realizes a depth and diversity of sound that sets the disc apart. Throughout Deep Roots… there are touches that elicit a strong response for the way they rise above the rest of the sound: the smooth bass line that anchors the title track as it winds along like a stream; the frame drum rhythm that lends its pulse to ‘Crossing Plateau ‘; the throaty, earth-ancient voice of Levin’s bowed bass grumbling its way through the gorgeous narrative of ‘The Strength of Stones. ‘ The soul of the disc really shines in the songs of the flutes here, offerings provided by Coyote Oldman (cedar flutes, medicine whistle and Incan pan pipes), Mark Hunton (Native American flute) and Greg Klamt (Chinese flute). These are the living breath of the piece, soaring sounds that take immediate hold of your soul and set it in flight. All in all, Deep Roots, Hidden Water is beautiful work that shines in this well-deserved remastered version. 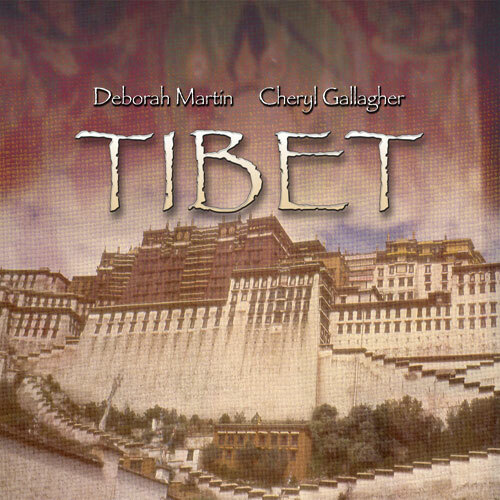 It’s a reminder of why Deborah Martin has been an ambient/New Age mainstay for almost 20 years. 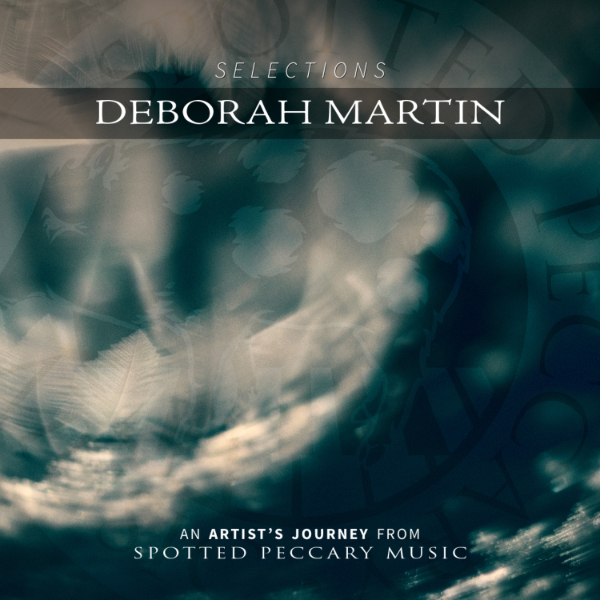 Deep Roots Hidden Waters is a set of deep Native American ambience from Deborah Martin. It is one of the defining moments in Spotted Peccary's quest to define modern native music. Martin's sound-design skills are in top form on this CD. She plays the musical elements off each other to embrace the atmospheres. The stellar cast of supporting musicians contributes much to this project and the ambient textures flow smoothly. The minimalist timbres surround deep listeners; the ethnic acoustics top the soundscape deftly. Martin has achieved a true crossover form on this outstanding album. This CD will appeal to fans of Coyote Oldman, Douglas Spotted Eagle, and Spirit Nation. It is essential for fans of e-music, Native American music, and new age music. 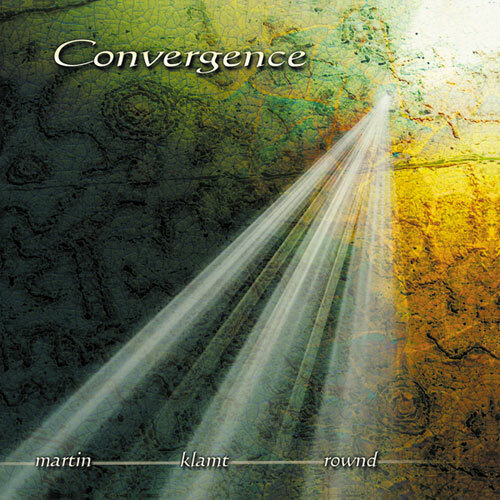 This is a remaster of an early work (1999) by ambient composer Martin, who wowed me this past year with her outstanding ‘Between Worlds ‘ collaboration with Erik Wollo. And while ‘Deep Roots ‘ isn't as convincing overall, it's still a strong album worthy of attention from fans of ambient and space music. This one's more electronic in nature, and, with the opening cut, ‘Haunted By Water ‘, it even approaches a classical structure. ‘One Sun ‘ brings around some tribal drums for a more nuanced, natural approach, and this is Martin's strength -- wedding sparse electronic elements with organic, worldly textures. ‘The Strength Of Stones ‘ is a certain highlight, and an effective and mysterious collision of sounds. With former King Crimson member Tony Levin's moody, snaking bassline, this track is a memorable and exotic slice of fourth-world atmosphere. Levin features throughout the album, and the tracks with his involvement also benefit from a more rounded and diverse sound palette. ‘Voices On The Rim ‘ works well, too, being a Native American-inspired piece. The closer, ‘Across Sky ‘, is a synth-strings flight of fancy, leaving the ground for a more airborne journey. Whereas ‘Deep Roots, Hidden Water ‘ isn't perfect, it is a lovely and refreshing backdrop for some reflective meditation and relaxation. 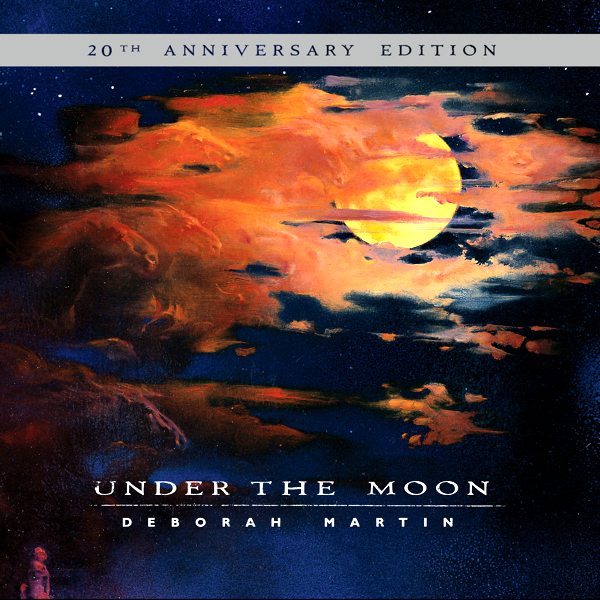 The re-release of a specially remastered edition of Deborah Martin’s Deep Roots, Hidden Water is cause for celebration by fans of this under-appreciated artist. She is joined by some of her Spotted Peccary label-mates and other respected artists, such as bassist Tony Levin and the duo Coyote Oldman on flutes, pan pipes, and medicine whistle. From the broad-vista, sweeping grandeur of the opening two tracks through the tribal rhythms and haunting tonalities of ‘One Sun, ‘ the shimmering ambience of ‘Blue Lake ‘ (highlighted by Greg Klamt’s Chinese flute), the alien sonic landscapes of ‘The Strength of Stones, ‘ and the blending of deep spacemusic and flute on ‘Voices of the Rim, ‘ Martin and company are your guides for magical music travels of unparalleled excellence. 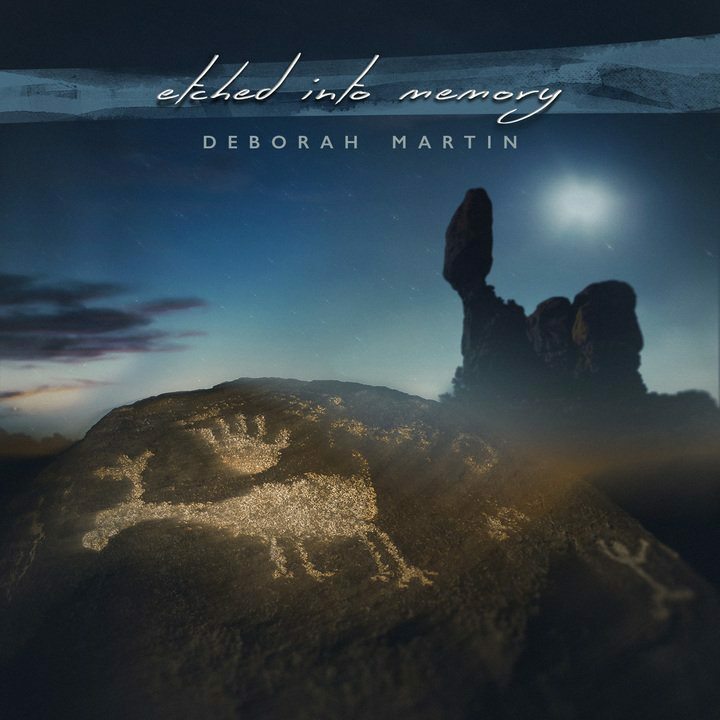 This 24-bit reissue of Deborah Martin's second album brings new clarity and depth to the evocative synthesist's vision of, in her words, ‘a soundworld filled with layers invoking a dreamlike sense of floating in time. ‘ Certainly, this is serenely floating meditative fare yet with texturing and subtle stylistic variations sufficient to beckon active listening. Opening track ‘Haunted By Water, ‘ for instance, has a symphonic neoclassical vibe that continues through subsequent pieces ‘A Dark And Silent Place ‘ and the title cut, before tribal/spacey atmospheres intertwine on ‘One Sun. ‘ Two special guest artists bring even greater diversity to Martin's sound palette: Native American flute duo Coyote Oldman assists on ‘Blue Lake ‘ and ‘Voices On The Rim, ‘ while King Crimson's Tony Levin performs heavily resonant bowed bass on ‘The Strength Of Stones ‘ (my favorite piece here). If you're game for an ambient disc that will bliss you out without inducing slumber, Deep Roots Hidden Water ‘ is your ticket. This Special Remastered Edition puts both of my feet on the ground, while letting my mind soar up into the sky. It's almost a contradiction of sorts but that's Martin's special talent. 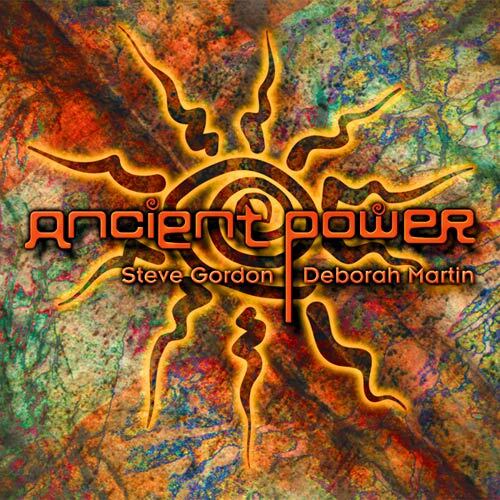 This album features highly skilled musicians such as Tony Levin on bass, Jon Jenkins' loops, Coyote Oldman's flute/medicine whistle/Incan pan pipes and Greg Klamt on Chinese flute. Deep Roots, Hidden Water is a calming disc that will get you into a clear state of mind. You won't feel the pressures that every day life can give which is not only healthy but important.